We bring home closer to you when you stay in our hotel in Mariveles, Bataan. Our rooms include Wi-Fi access, cable television, safety deposit box, hot and cold shower, and other amenities that will make your stay even more worthwhile. Welcome the mornings with a smile as you are treated with a mountain or garden view right outside your window. 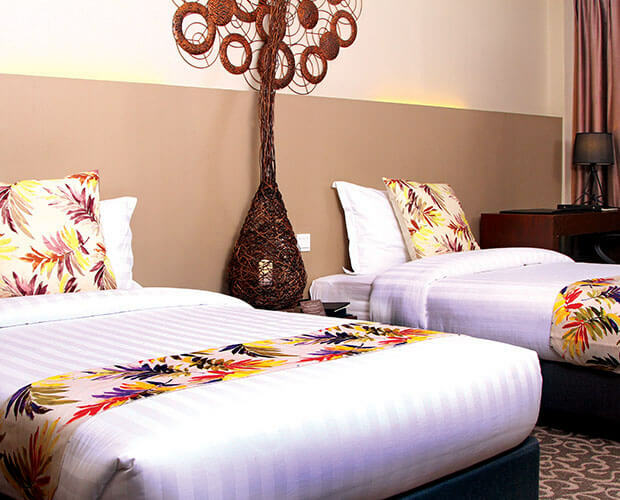 Our Deluxe Rooms, located at the lower floor, come with a choice of one (1) queen size bed or two (2) double beds. 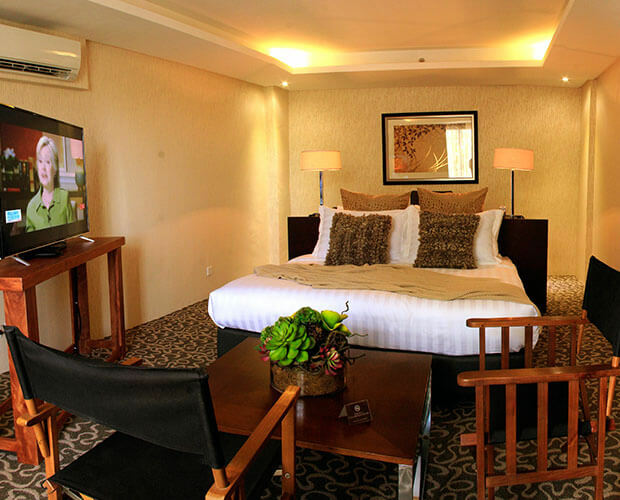 Having the same stunning sights of the Deluxe Rooms, our Executive Rooms also provide you with more space. 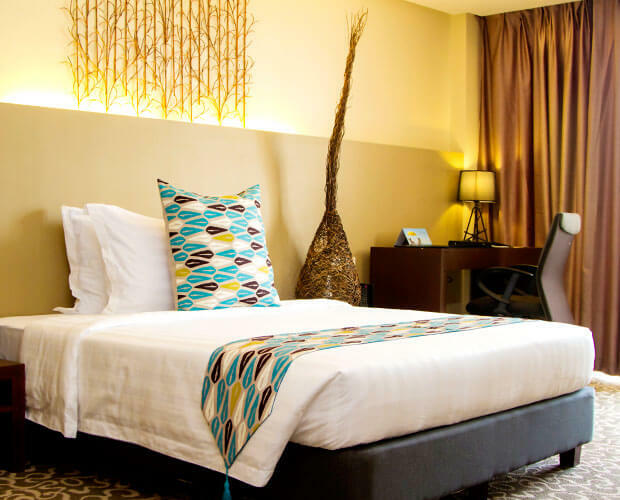 These rooms, located at the upper floor, come with one (1) queen size bed or two (2) single beds. Invite your friends and family for another Uniquely Oriental stay at The Oriental Bataan. 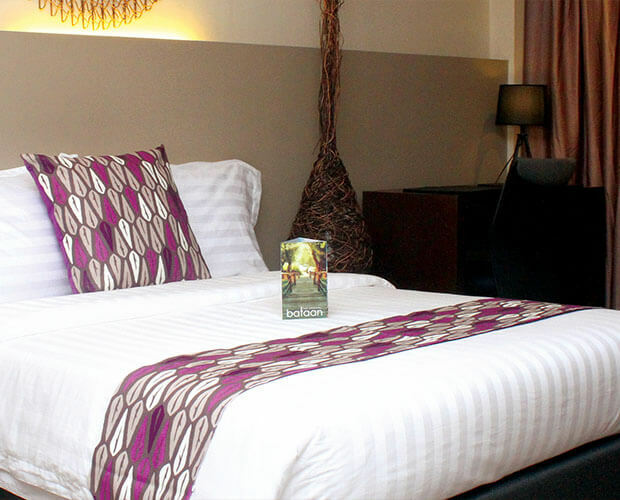 Ideal for the bigger group, the Deluxe Quad offers 4 double beds in a 55-58 square meter room. 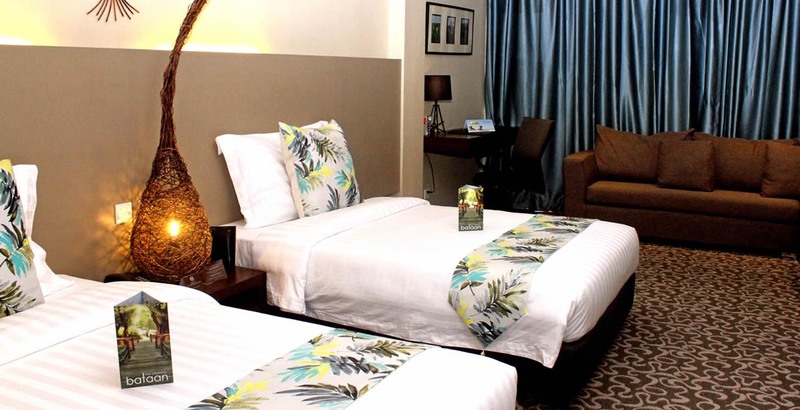 For a more stylish accommodation in Bataan, book our Governor Suite (comes with 2 single beds) or Presidential Suite (comes with 1 king size bed). At 75 square meters, each of these suites comes with its own dining area, receiving area, pantry, and a bathroom with a bath tub.